Looking back, 2011 was a great year. Lots and lots of great shows, and it looks like 2012 is going to start off with a bang! We kick off the new year on Friday January 20, at the Brighton Music Hall, in support of the legendary Mission of Burma! After we took home this year's Boston Music Awards', Rock Artist of the Year honors, you think about all of the amazing bands playing around Boston, and that have called Boston home. Back in the early 80's, there was no band greater than Mission of Burma, who probably best known for the (often covered) song "That's When I Reach for My Revolver" off the 1981 EP Signals, Calls and Marches. Their unique brand of post-punk/noise/indie rock was instrumental in paving the way for bands like Sonic Youth, Pixies and Nirvana, who have cited them as inspirational. This show is going to be pretty epic, and is not to be missed. Mission of Burma are playing back-to-back nights at the Brighton Music Hall, and both are going to sell out, so get your tickets early! You can find them online at ticketmaster, or avoid all the extra fees by purchasing them in person at the Paradise Box Office. Make sure you RSVP on the facebook event page, and tell your friends! To continue our Boston Rock history lesson, we've included the song "Trem Two" from Mission of Burma's Vs. DVD. It was recorded live at their final Boston all-ages show on March 12, 1983, at the Bradford Hotel. DEAD IN YR TRACKS, 4-song EP, double gatefold 7", available now! Plus all our t-shirts, pins, posters, CDs and more! 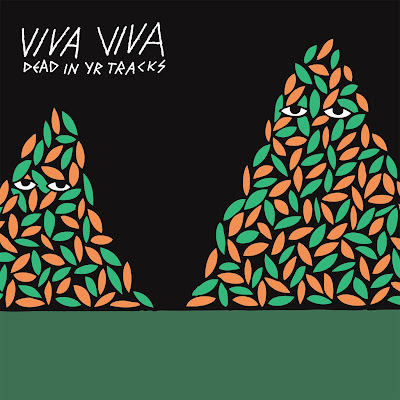 Listen to the highly anticipated self titled debut album from Boston's Viva Viva featuring a mix of twelve new and previously released tracks. Full length album available for download now at Bandcamp. For all inquires please contact: thisisvivaviva@gmail.com.